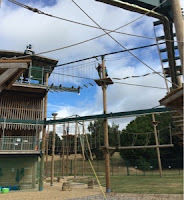 A few weeks ago the family and I were invited to try out the new Vertigo Adventures in Welwyn Garden City, and what a thrill it was! 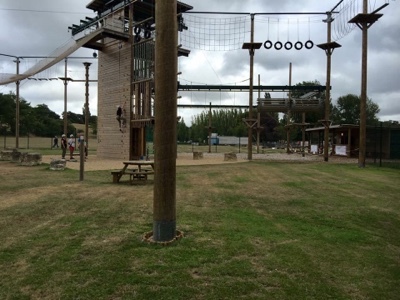 Offering both high- and low-ropes courses alongside zip-wire action, breath taking plunges and daring challenges the new course is set test even the bravest of thrill seekers. We started on the Monkey Trail which is 10ft tall. 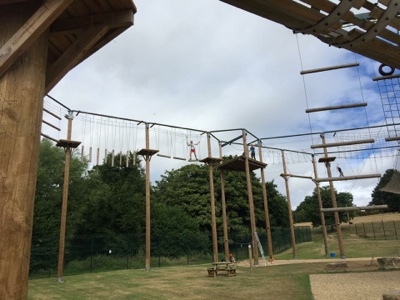 This can be used by anyone aged five and above, so doesn't sound too tricky, but with nine elements to tackle, from Sky Islands to Twin Tube Tunnels, there’s a variety of challenges for little monkeys to conquer. 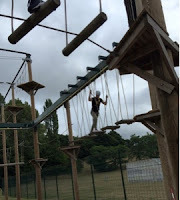 I have to admit this course was probably the trickiest of them all as it takes some time to get used to the height - 10ft doesn't sound like much, but when you're up there and the wind picks up it can be pretty nerve racking! We then headed to the Hawks View which stands over 40ft high giving you a bird’s-eye view of 126 acres of parkland the course is situated in. 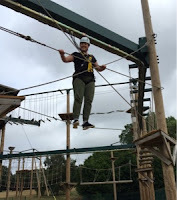 The course includes a Trapeze Walk and even zip line - I have to say after the first two obstacles I lost my nerve and shuffled back to the main platform (I didn't realise the course so much upper body strength! ), but the rest of my family continued and said it was a real adrenaline rush). Next we got to Plummit from the Summit by taking a leap of faith on the powerfan, which was ridiculously fun and turned my legs to jelly. 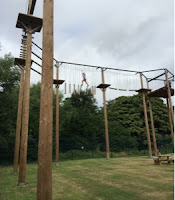 We had to step off the platform just like a bungee jump, which really tested our nerve. This was (in my opinion) the best activity of the day, and looking back I wish I had done it again as the first time it flashed. Next was Flying Fox, a 50m-long zip from the top of the tower, which was fun but slightly overshadowed by the thrill of the Plummit we had experienced just before. 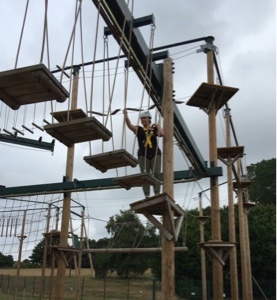 We ended the day with a very competitive Crazy Climb to see how far we could ascend to the tower before abseiling back down to earth. 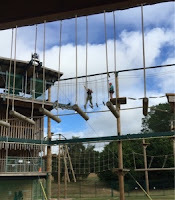 Vertigo Adventures is open from 9am to 5pm peak season and during school holidays, and 10am to 3pmin winter. Packages will be available for either one element of the course, or mix-and-match to include all five. 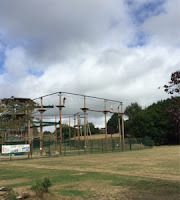 As it's only a 20 min train from Kings Cross and set in such a lovely setting, I'd thoroughly recommend the activity course as a fun family day out.